You'll be £19.99 closer to your next £10.00 credit when you purchase An Alternative History of Britain: The Hundred Years War. What's this? 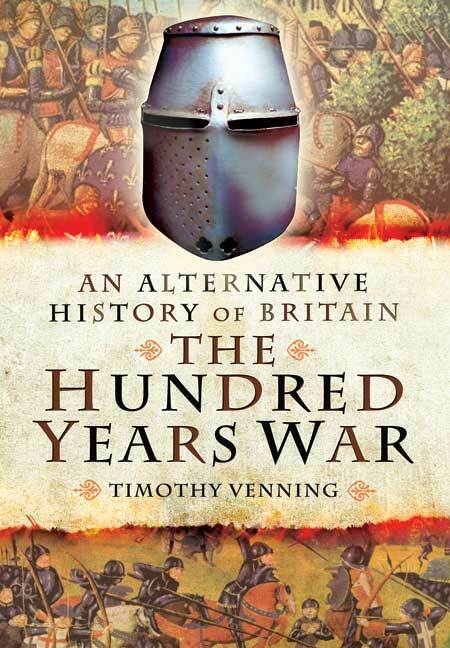 Continuing his exploration of the alternative paths that British history might so easily have taken, Timothy Venning turns his attention to the Hundred Years War between England and France. Could the English have won in the long term, or, conversely, have been decisively defeated sooner? Among the many scenarios discussed are what would have happened if the Black Prince had not died prematurely of the Black Death, leaving the 10-year-old Richard to inherit Edward IIIs crown. What would have been the consequences if France's Scottish allies had been victorious at Neville's Cross in 1346, while most English forces were occupied in France? What if Henry V had recovered from the dysentery that killed him at 35, giving time for his son Henry VI to inherit the combined crowns of France and England as a mature (and half-French) man rather than an infant controlled by others? And what if Joan of Arc had not emerged to galvanize French resistance at Orleans? While necessarily speculative, all the scenarios are discussed within the framework of a deep understanding of the major driving forces, tensions and trends that shaped British history and help to shed light upon them. In so doing they help the reader to understand why things panned out as they did, as well as what might have been in this fascinating period that still arouses such strong passions on both sides of the Channel. This is an entertaining read, providing a wide range of alternative secnarios, backed up by good knowledge of the period. Although billed as an alternative history, this book presents a detailed historical study of many pivotal moments during the War, giving highly plausible alternatives to events which could so easily have taken a different direction. Firmly grounded within a historical framework, they present a fascinating insight into what might have been, and serve to remind us on what small events the course of history can be balanced. Timothy Venning is a historian who is fascinated by 'what ifs' and near misses, by those moments when events hung in the balance, and he seeks to explore all the alternatives. This book is part of a series that shows just how many turning points there have been in British history. The Hundred Years War covers a much shorter period than The Anglo Saxon Age but there are so many turning points that lend themselves to alternative scenarios, whether untimely deaths, such as that of the Black Prince before he could become king, or Henry V in his prime, and close-run battles such as Poitiers and Agincourt, as well as the remarkable arrival on the scene of Joan of Arc. Both books are full of fascinating arguments and alternatives and ideal for anyone who sees history as a source of intelligent argument. The fascinating aspect of 'what if' is that one small change could create a major change in fortune, but it would have also triggered a series of other changes that could give back a lost advantage. The author has provided much food for thought. This is a book that all enthusiasts of Medieval Europe should read, but it also applies to students of later history and consideration of the future of Britain in relation to Europe, demonstrating how the loss of the Hundred Years War, and divorce from Europe, created a much greater future for Britons. Dr Timothy Venning is a freelance researcher and author. Among his previous works are If Rome Hadn't Fallen (Pen & Sword, 2011), A Chronology of the Roman Empire (2010) and A Chronology of the Byzantine Empire (with Jonathan Harris, 2005). His fascination with the 'what ifs' of history was first kindled by a comic strip he read in Ranger while at primary school in the late '60s and has endured ever since.